Home / Featured / Thank You FPCB! 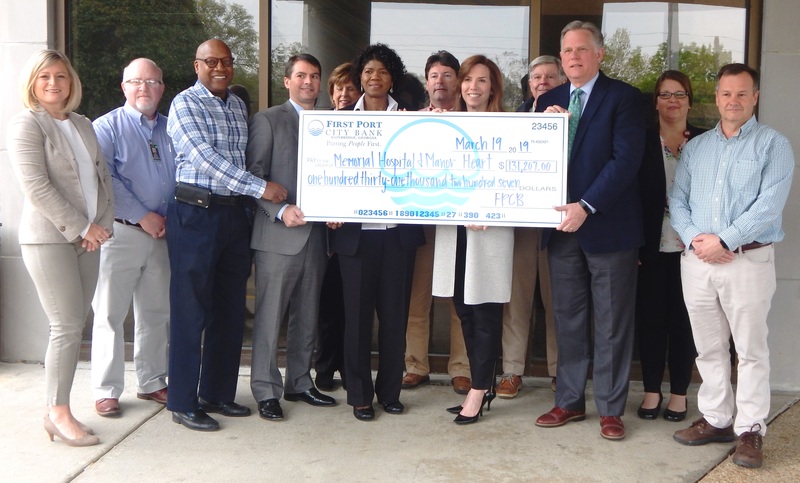 As part of the Georgia HEART Hospital Program, First Port City Bank is supplying $131, 207 dollars of financial support to Memorial Hospital and Manor. The Georgia Rural Hospital Tax Credit enables Georgia businesses and taxpayers to redirect their Georgia income tax liability to help support these qualified hospitals. Through this rural hospital tax credit program, a “C” Corporation or trust shall be allowed a 100% Georgia income tax credit for contributions to rural hospitals equal to the amount of the contribution, or 75 percent of the corporation’s or trust’s income tax liability, whichever is less. Additionally, the IRS recently issued guidance confirming that for federal income tax purposes, “C” corporations can deduct rural hospital tax credit contributions as ordinary and necessary business expenses. If you would like more information as to how this program can be beneficial to your business, please contact Lauren Harrell at Memorial Hospital and Manor at 229.243.6115.